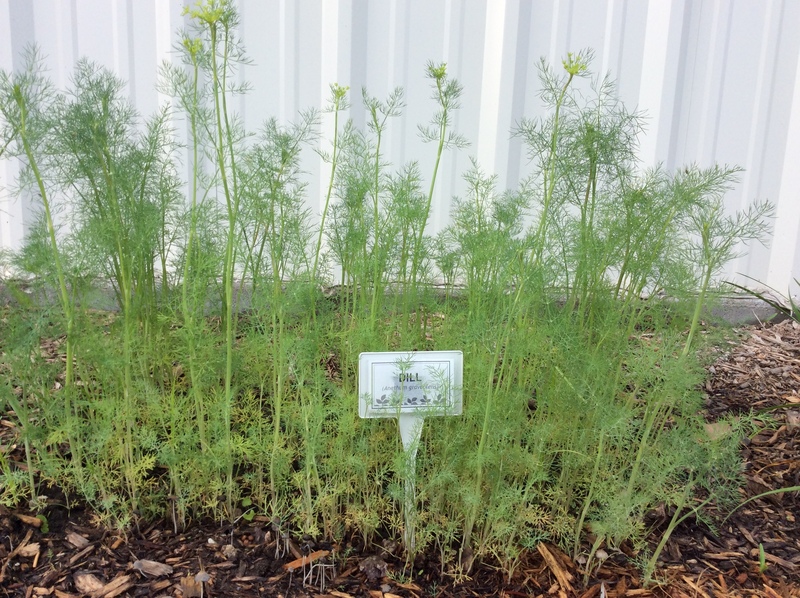 Dill is an excellent larval plant for Swallowtail butterflies. A corner of the habitat has been planted with herbs. Herbs are excellent larval and nectar plants for butterflies. We have planted borage, dill, parsley, basil, garlic chives, oregano and thyme. Swallowtail butterflies lay their eggs on dill and parsley plants. The caterpillars feed on the plants until they pupate. I hope there will be lots of herb eating in the habitat this year. We can always plant more.